This entry was posted on March 15, 2017 by Alexandra Demolling. Very often people feel tired for no particular reason, have lapses in concentration, memory gaps and weight gain despite their diet remains unchanged. If all this happens, then you might be suffering from a very common syndrome which affects the thyroid gland: hypothyroidism. Thyroid dysfunction is one of the most common diagnoses and according to the data held it affects many people around the world. A drug called Eutirox is often prescribed to thyroid sufferers. This medication delivers synthetic hormones produced in the lab to the patient who has a thyroid dysfunction and therefore cannot produce them but it causes a number of really annoying side effects. Among them I can list a few: headaches, excessive sweating, diarrhea, hair loss, rash, weight gain or loss, mood swings, and heart palpitations. Statistics show that 80% percent of the thyroids is not working properly and the main cause is low hormone level or hypothyroidism. Unfortunately, thyroid disorders can often go unnoticed because the symptoms are attributable to a variety of other disorders. Some people tend to consider some bothersome symptoms like a normal signal due to aging and therefore do not take them into account. Those who take synthetic drugs, such as Eutirox, are just taking the T4 hormone and not T3. A study conducted in 1999 and published in "The New England Journal of Medicine," discovered that patients who received a combination of T3 and T4 had benefited in terms of mood, so on a neuropsychological level, compared to those who had just taken the hormone T4 alone. There is also another study published in 1996 that claims that T4 alone is not sufficient to fully restore thyroid function for those suffering from hypothyroidism (1). Then, according to various studies, hormonal imbalances or thyroid malfunction respond better to natural hormone treatments. Products based on natural hormones are avaliable on the market despite many doctor's unawareness on the matter. Most doctors continue to prescribe those made from synthetic hormones that have all the side effects we listed earlier. There is an alternative way that suggests the use of three substances for thyroid's health, both simple and natural. The first one is iodine, which many do not know to be the first of thyroid nutrients. The easiest way to obtain a sufficient amount of iodine through food is using iodized sea salt. You can also try to eat some edible seaweed such as wakame and nori which are high in iodine. Or, in case you fail to do this you can go with the iodized oil capsules which are natural dietary supplement. It is important to have an intake of at least 300 micrograms of iodine per day in order to help our thyroid to stay healthy and perform well. The amino acid L-tyrosine is also very important. The thyroid gland uses tyrosine as the second primary nutrient together wth iodine to produce thyroid hormones. You can get this amino acid from protein-rich foods or take it directly through as a supplement of 500 mg per day. Finally, antiviral substances are perhaps the most important, although less known, as there is an increase of people who are unaware of having the Epstein Barr virus in their system and later develop hypothyroidism. It seems that this virus, present in 90% of people, when active becomes devastating for thyroid's health and not only .For more information on this, please read this article on epstein-barr and chronic fatigue syndrome. Every cell in the body has receptors for thyroid hormones. These hormones are responsible for body's function. Thyroid hormones acts directly on the brain, the gastrointestinal tract, the cardiovascular system, on bone metabolism, red blood cell metabolism, the gallbladder and regulate liver's function in addition to the production of steroid hormones, glucose, lipids and protein's metabolism. It is important to know that hypothyroidism is caused by an autoimmune disease (or from the Epstein Barr virus?). Studies show that 90% of people with hypothyroidism produce antibodies against thyroid tissue. (3) This means that the immune system itself attacks and destroys the thyroid gland which simultaneously causes a drop in thyroid hormone levels. This form of autoimmune hypothyroidism is called Hashimoto's disease. Unfortunately, conventional medicine has no effective treatments for autoimmune diseases. For this reason they use steroids and other drugs to suppress the immune system and that have potentially harmful effects such as multiple sclerosis, rheumatoid arthritis and Crohn's disease. In case of Hashimoto's thyroiditis, the consequences or side effects related to the use of immunosuppressive drugs are believed to outweigh the potential benefits. 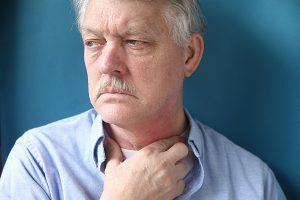 Therefore, a patient suffering from this disease is simply waiting for his immune system to have sufficiently destroyed the thyroid tissue to then classify his illness such as hypothyroidism and being prescribed synthetic hormones. Overtime, I discovered some natural substances that are very effective and have no side effects. I believe that the most effective protocol for thyroid treatment and support is the use of nascent iodine in conjunction with pico-ionic magnesium and trace minerals (trace minerals such as chrome, manganese and copper which are present in the body in very small amounts but play a fundamental role for its proper functioning) also in pico-ionic form. All cells in our body contain and utilize iodine. Nascent Iodine is paramagnetic edible iodine in its atomic form. This means that the iodine atoms may have an electromagnetic charge. Nascent Iodine releases a lot of energy when it is consumed and is recognized by the body as the same type of iodine used by the thyroid. This is the reason why nascent iodine is easly absorbed by the body. Magnesium and other minerals (sodium-potassium-calcium-manganese-boron-zinc-selenium-copper-chromium-boron) are also fundamental for good functioning of the thyroid gland and the pico-ionic form allows their complete absorption on a cellular level. In addition, researches have shown that SBO probiotics (Soil Based Oragnisms), which are different from lactic acid based ones more commonly used (Bifidus and Lactobacillus), allow both to strengthen the immune system, mantain endocrine balance and greatly enhance nutrient's absorption. 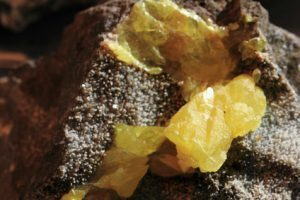 Finally, organic sulfur is of vital importance for heavy metal's detoxification and chelation processes (removing toxic substances from the body). Aluminium, for example, is stored in the liver, bones, thyroid and the brain affecting both physical and mental health (due to its nervous system toxicity). For further details on an individualized program for natural thyroid support do not hesitate to contact our naturopath. i consider this being one of the best iodine products available, and i ve done pretty much research :) i use it as part of my recovery plan (after a severe toxic mold exposure and glyphosate poisoning plus lyme disease). 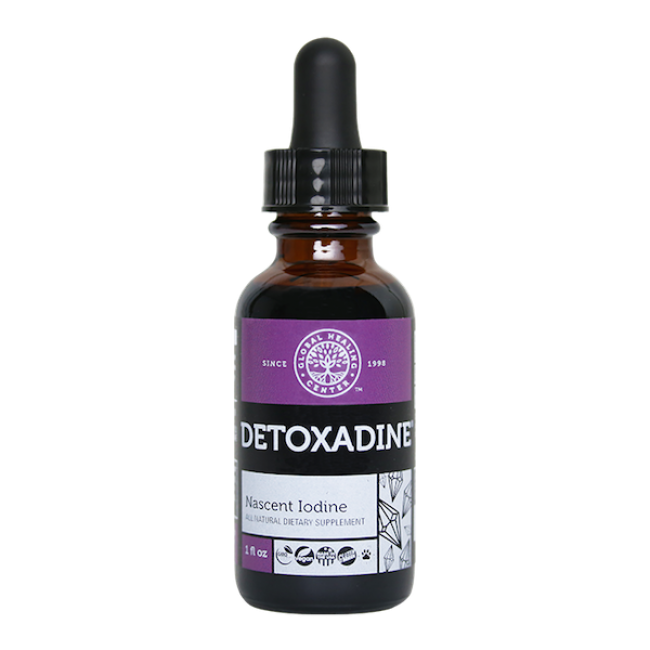 i think everyone would benefit using iodine, specially because it helps detoxing fluoride out of body, and most of us are anyway seriously iodine deficient. After doing some research on the “Nascent Iodine” I started taking it and I consider this product to be absolutely effective and valid. 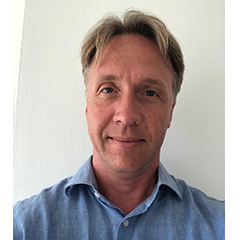 I have suffered for many years from extremely painful sinusitis which in this period would have driven me crazy... After a few days of taking it I have been totally syntom-free and I have been doing well so far. What has really impressed me in a positive way isn’t just the ability of iodine to eliminate infections but its incredible ability to drain mucous, detoxify and clean the tissues. Therefore it is essential to have sufficient magnesium levels (90% of the population is lacking) in the body so that the iodine can work at its best. Beware of possible detoxification reactions (Herxheimer reactions) which might also be quite strong (in my case they were). I advise you to start gradually and it would be better to be followed-up by a doctor who has some expertise in the field.